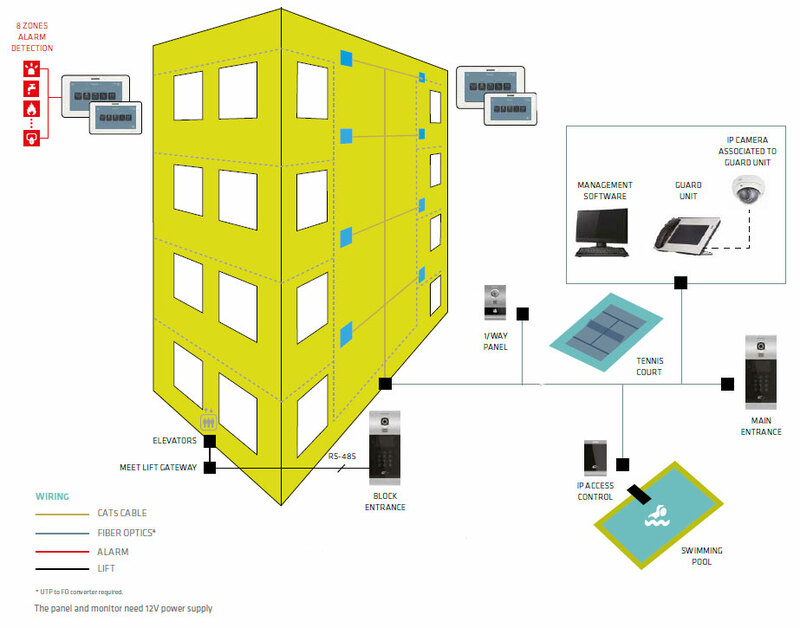 The FERMAX MEET system is a 100% IP technology based on a Point-to-Point infrastructure, highly efficient, flexible and adaptable. The devices communicate directly, so MEET does not require central units or servers which could compromise the availability of the system in the event of an unforeseen error. MEET allows the installer to freely assign the range of IP addresses according to the needs of each project, and thus facilitate the control of the networks. 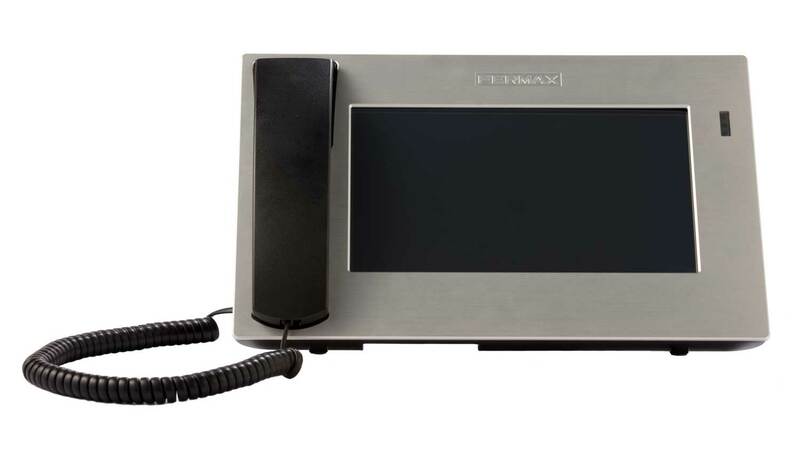 MEET offers HD video quality and digital audio which ensures high quality communication. 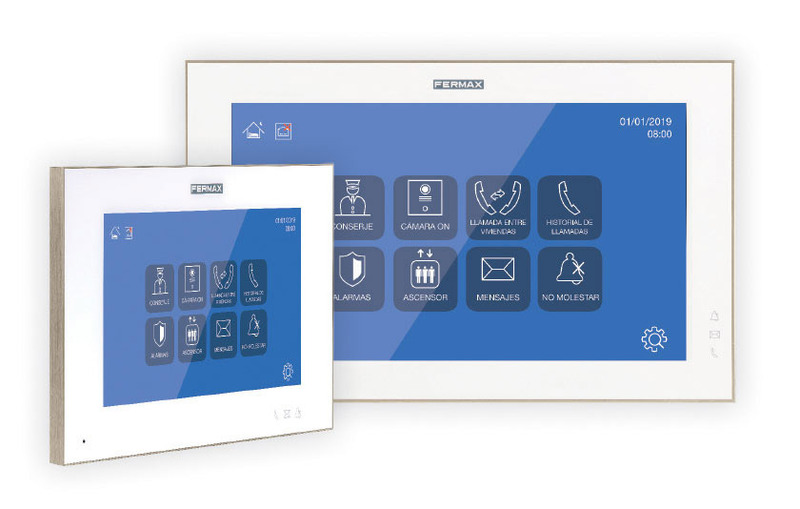 The system is made up of digital panels, one-button panels, touch monitors, central guard units and various accessories. 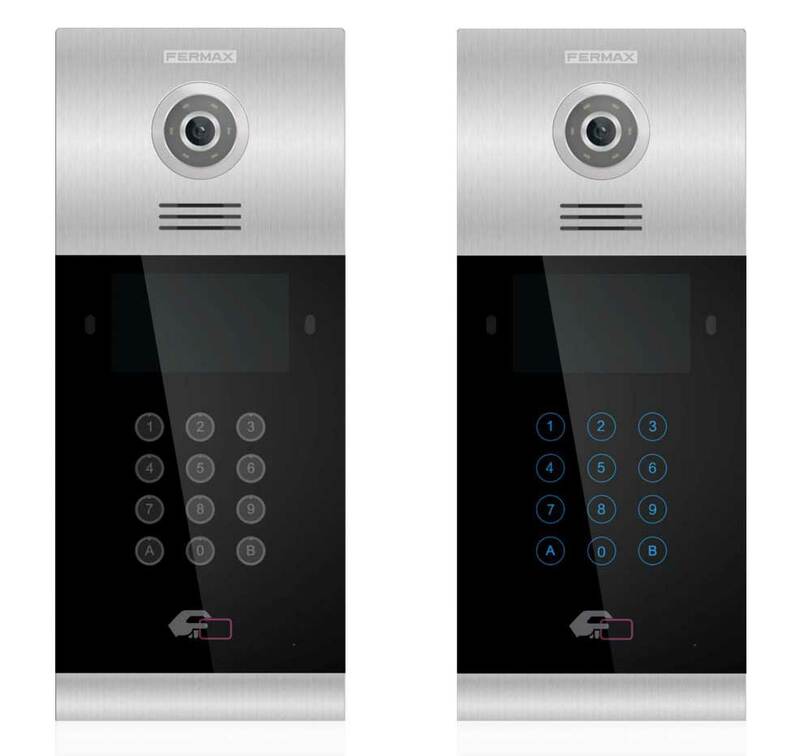 To guarantee the security of the community, MEET offers a secure system that allows the integration of access control, CCTV and alarm functions. Call Divert via MEET ME app. smartphones from the same apartment.